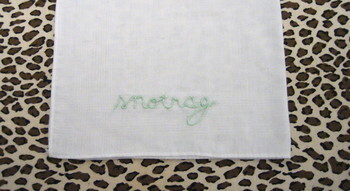 i never, ever get tired of embroidering dirty words on dishtowels. NEVER. 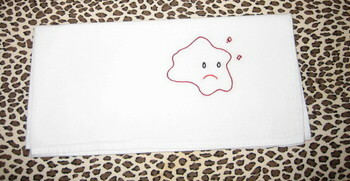 this is the second of my sad stain towels, this one is a little wine stain. so sad, yet so cute. 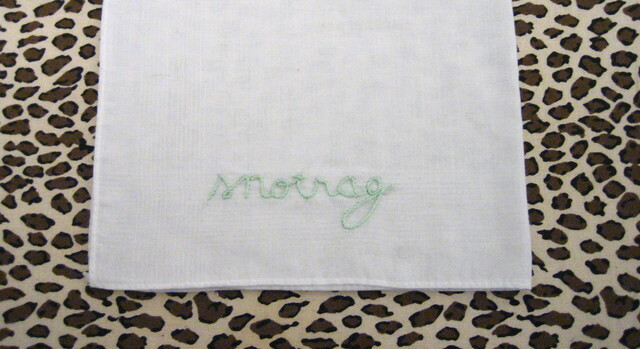 i also found some old hankies i made while cleaning up my inventory. they are not 100% cotton, which is why i stopped making them for a while. 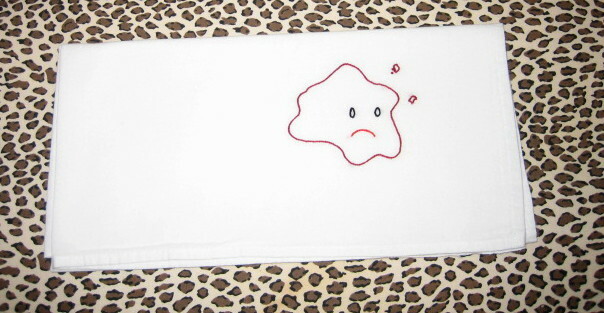 however, i found a place where i can get cotton hankies so i'll be making more! until then, there are a few of the poly-cotton blends that would make great stocking stuffers. even though they aren't all cotton, they are incredibly soft. 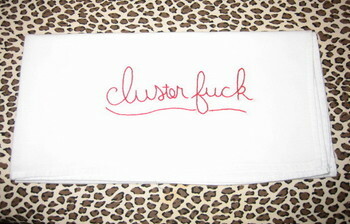 this is what my mom always calls my dad's hankies. hankies aren't just for men, though. no way. i carry one with me everywhere! they're great; i use them to clean my eyeglasses, to wipe my nose, to clean myself up if i accidentally spill coffee on my shirt (which happens all the damn time to me), or to clean up any of the other messes i often find myself making. they're environmentally sound, and people get all nostalgic when you whip one out. 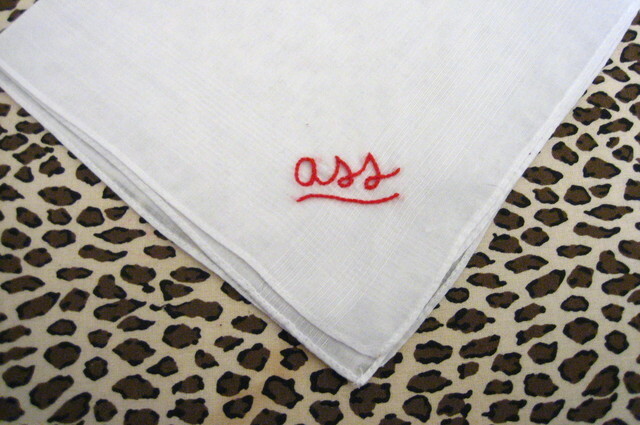 "oh, my uncle used to carry one of those around," or "my grandfather always had a hankie on him," or even "my mom always said a lady carried her own hankie." 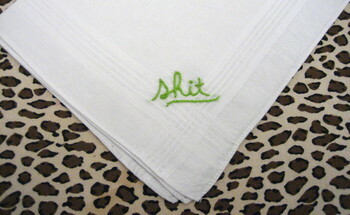 even if you don't buy my hankies, i still think you should think about using them. 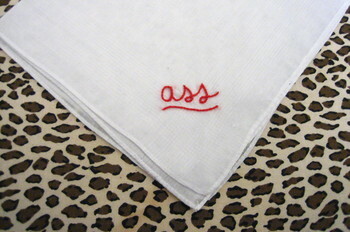 let's bring back the hankie! ordering information and fun stuff over here, as always.